The Bad Plus Tackle Stravinsky's 'Spring' The genre-mashing jazz trio has tackled songs by Nirvana, Black Sabbath and David Bowie. Their latest challenge? Stravinsky. The latest project from The Bad Plus shifts the jazz trio's focus from rock classics to a classical masterpiece. Check out a recording of The Bad Plus rehearsing their reworked version of Stravinsky's ballet. You probably know Igor Stravinsky's controversial ballet The Rite of Spring from its appearance in the Disney film Fantasia, where it served as the score for a dramatic sequence depicting the dawn of the universe. Later this week, the piece will be showcased anew – by group of musicians with a reputation for reinvention. The Bad Plus is a jazz trio with a rock-heavy repertoire. Over seven albums, the band has re-arranged Black Sabbath's "Iron Man" and Nirvana's "Smells Like Teen Spirit," as well as classics by Blondie and David Bowie. Several years ago, they dipped a toe into the classical pool with an interpretation of Stravinsky's "Apollo." 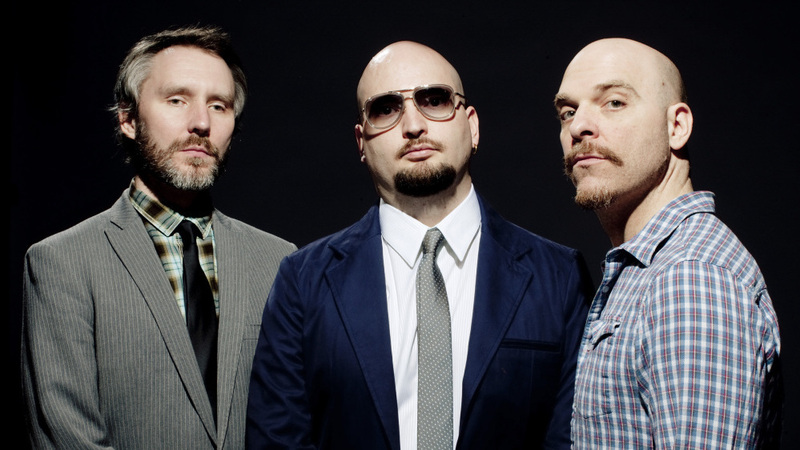 Read up on The Bad Plus at our jazz blog, A Blog Supreme. As drummer Dave King tells Weekend Edition Sunday host Liane Hansen, he and his bandmates dared themselves to take the experiment further: "We thought, well, let's just go all the way and try and tackle the monster." That monster is The Rite of Spring in its entirety. Working on a commission from Duke University and Lincoln Center, the band has been rehearsing their own version of the ballet for the past eight months, which they will perform at Duke on Saturday, March 26. It's a difficult piece, full of odd time signatures — but according to pianist Ethan Iverson, that's not the only thing that has made the process monstrous. "What we're trying to do, essentially, is turn the piece into something of our own," Iverson says. "The size of the work is what's so different this time — after doing a three-or-four-minute excerpt from a ballet, now we're doing a gigantic piece of music. The concept is kind of like learning 28 little pieces of music that are all really different and don't repeat!" To ease those difficulties, the band chose a curious plan of attack in crafting their arrangement: They started at the finale and worked backward. "We sort of determined that the last movement was the hardest one," says bassist Reid Anderson. "I think it's good psychologically to kind of get that out of the way." Adapting the rest of the ballet was an equally demanding process. Dave King says the band's vision and Stravinsky's will have to meet in the middle; the difficulty is knowing just where that ought to happen. "We've had major discussions about, where is The Bad Plus in this thing?" says King. "We've never approached any of our reworkings with irony. Sometimes people have maybe thought that about us, but we're actually quite earnest about everything we're trying to take apart."